or 4 easy payments of $3.74 AUD with available at checkout excl. shipping. More info. 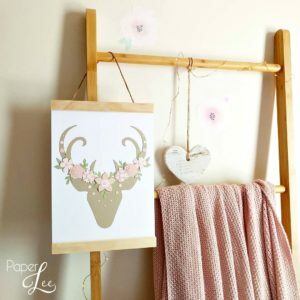 This beautiful handmade pine timber Art/print hanger is made using faux leather straps with magnet closures tucked inside. It features 8 timber beads either left raw or painted. The faux leather straps are movable, making them perfect to hold any size print or photo. The raw pine timber pieces are 21cm wide.